The original Roman postern in London Wall was transformed into a more elaborate gate in the 15th century. This lasted until 1762 when all the London gates were destroyed. May your natural wooden floors have a better fate! Some have given sterling service for centuries - as long as they are well looked after. If scratches, marks and more serious damage have taken their toll on yours, all is by no means lost. The solution is a mere call away.. 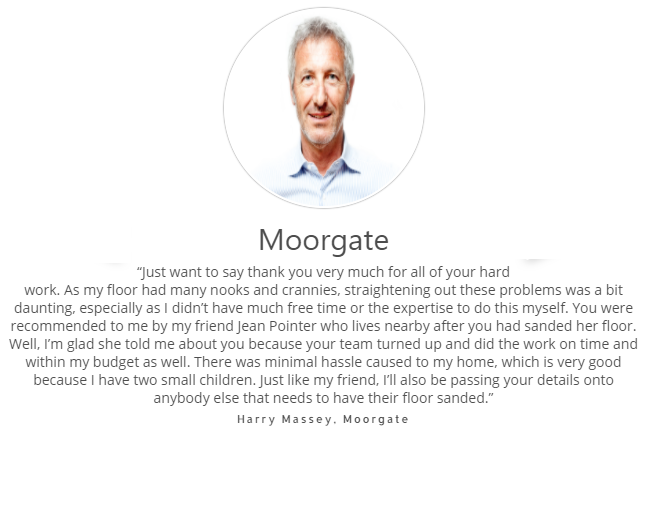 The Moorgate Floor Sanding Specialists! Make use of our experience and expertise..
resealing with the fresh protection of natural oil, hard wax or lacquer. for a floor that will last and keep its good looks. our machines collect dust outside the room - so there’s minimal mess and disruptn. Contact us today for your FREE assessment! 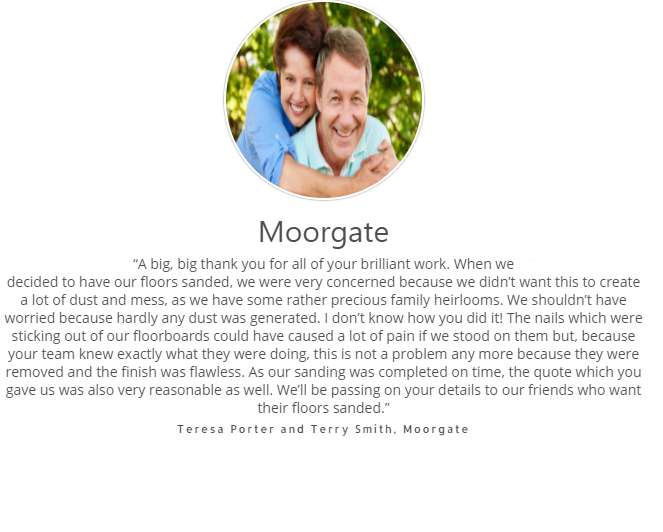 The Moorgate Floor Sanding Experts! The area was the site of the first hydrogen balloon flight in England. Pioneer Italian aviator, Vincenzo Lunardi, took off from the grounds of The Hon. Artillery Company in September 1784.
cat and caged pigeon. Filling with gas was a slow process that took the previous evening and next morning to complete. Having been seen off by an enormous crowd that included the Prince of Wales, they arrived in Herts near South Mimms thirteen hours later. The cat was discharged through airsickness (real or feigned - sensible creature!). A plaque at Welham Green marks the landing site. The balloon completed its 24 mile trip at Ware. wooden floors with best restoration service.